Day one of the annual Elders and Youth conference wrapped up in Anchorage today. The annual conference precedes the Alaska Federation of Natives convention each fall, designed to strengthen inter-generational connections and share indigenous knowledge around the state. 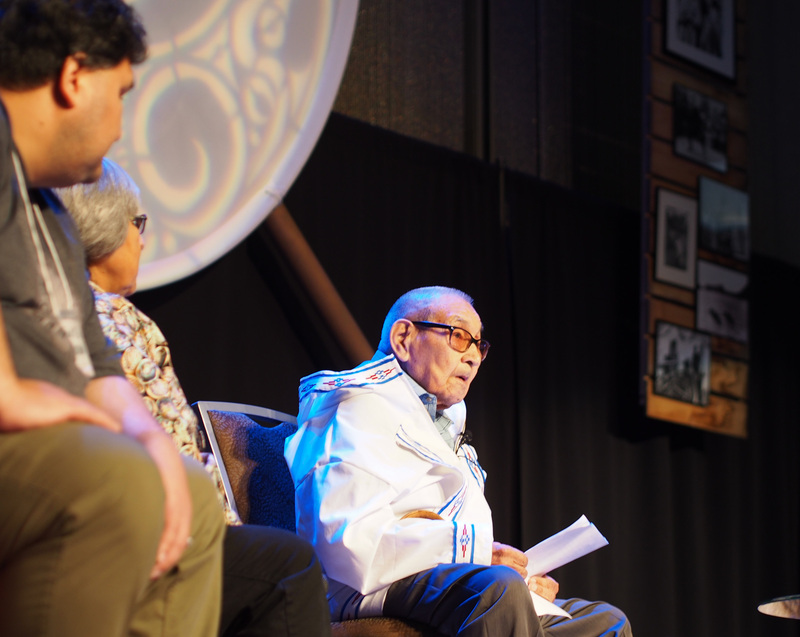 The elder keynote address came from Ugiaqtaq Wesley Aiken, age 92, who was introduced as the oldest man in Utqiagvik. A whaler, reindeer herder, tradesman and community leader throughout his life, Aiken told young members of the audience to seek out the tools that would best equip them to support themselves in modern life. In his time that meant hunting, and learning whatever trades he could in his community. Generally Elders and Youth is a less overtly political event than AFN. But this year, state politics looms large. A group that formed last year, Native Peoples Action, presented on efforts to mobilize indigenous votes in the upcoming November elections. During a panel on Alaska Natives entering state government, Julianna Clock told the crowd she’d been able to channel anger over racial disparities she saw growing up in Kaltag into action working as an analyst for the governor’s office. 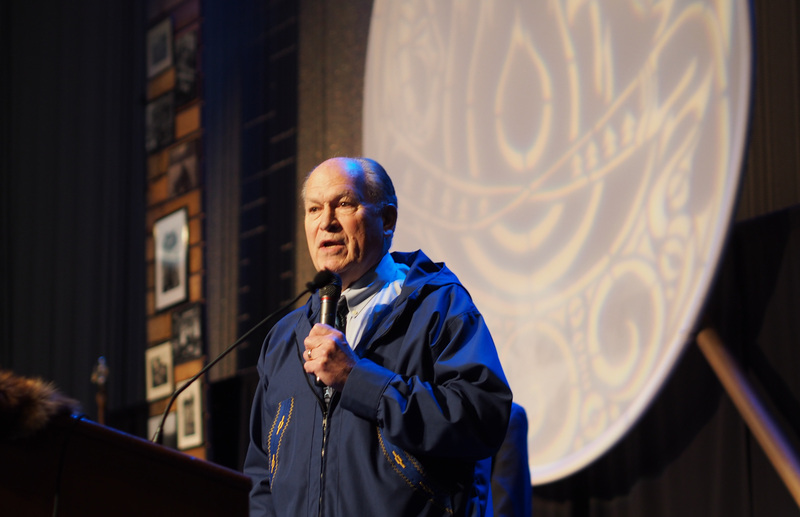 Though far from a campaign stump speech, Governor Bill Walker’s address touched on several recent events. Walker noted how much he’s learned about indigenous languages since coming into office. But says signing a recent administrative order on the issue was overshadowed by the funeral in Kotzebue for 10-year-old Ashley Johnson-Barr just a day before.